TAS comic books, "Yesteryear" (based on the TAS episode), and many original stories. TAS calendars made by Kail and ready to print! Enjoy! Great fun for the kids! Just print out and color in! Original TAS stationery. Save and print! Fun stuff to download and use. New! TAS desktop Icons and TAS screensavers! Material taken from the TAS Newsletter published in 1973.
and D.C. Fontana, bios of M'Ress and Arex, and a TAS crossword puzzle. 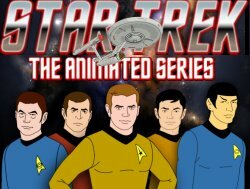 Click here to read the interview with Corry Kingsbury, special FX artist on Star Trek:The Animated Series.